I do not like much the tiny cluttered souvenirs shops which are opposite the Louvre in the Rue de Rivoli or in the surroundings of Notre Dame or the Sacré Coeur. 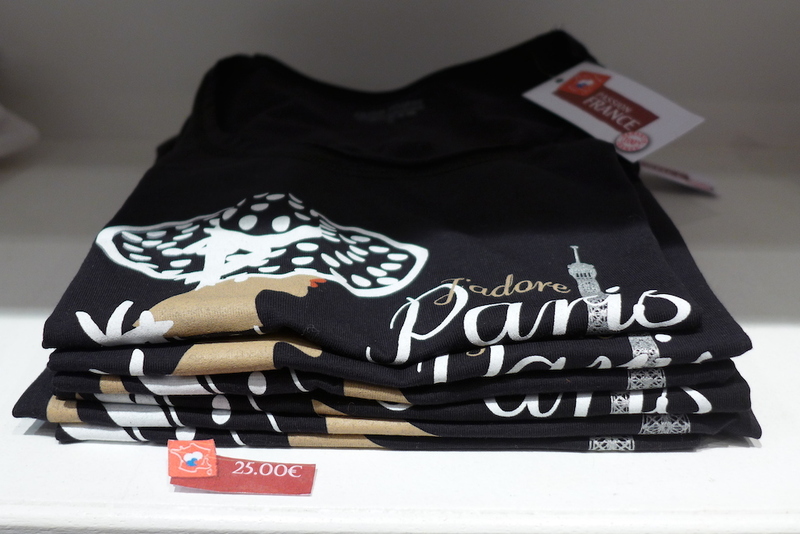 All those shops offer the same souvenirs : Eiffel Towers, bags or Tshirt “I love Paris” or “Paris University”, …, all made in China. You will find the same in London, Venice or New York ; just replace Paris with London on it and your bag will become a souvenir from London ! 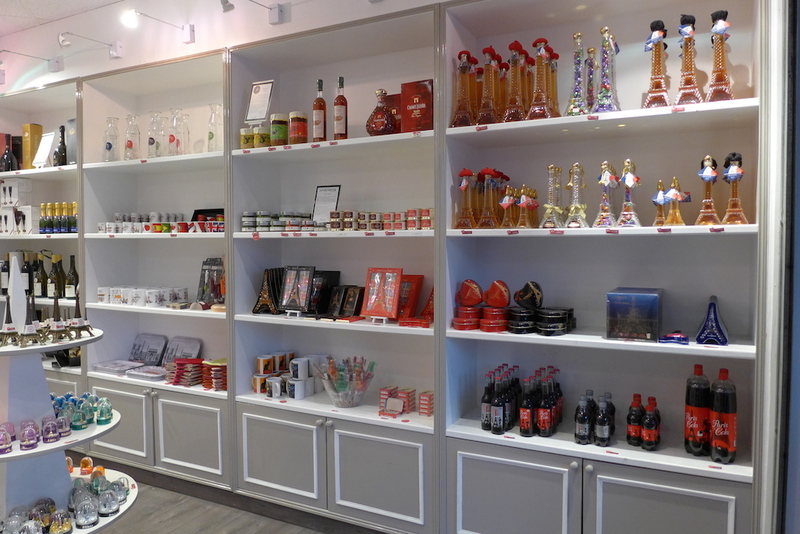 That is the reason why I have decided to make you discover my Top Threee souvenirs shops in Paris. 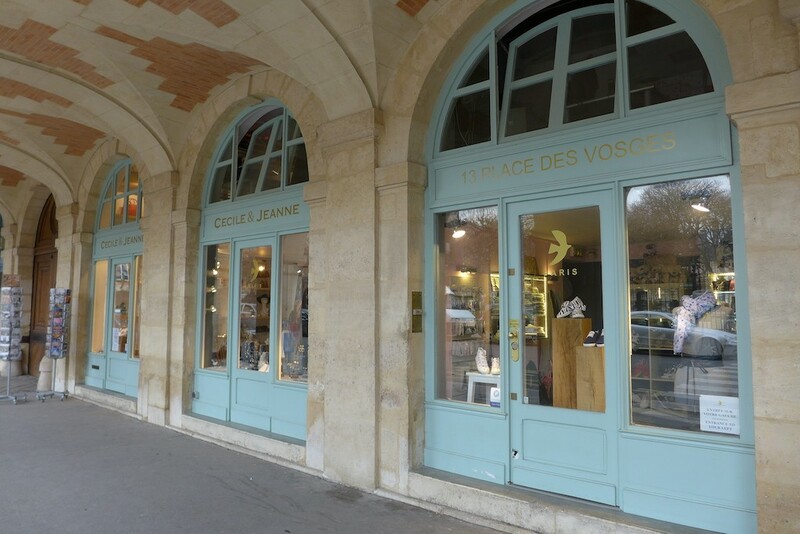 Paris Rendez Vous is a beautiful and airy shop located on the grounfloor of the City Hall of Paris and looks like a concept store. 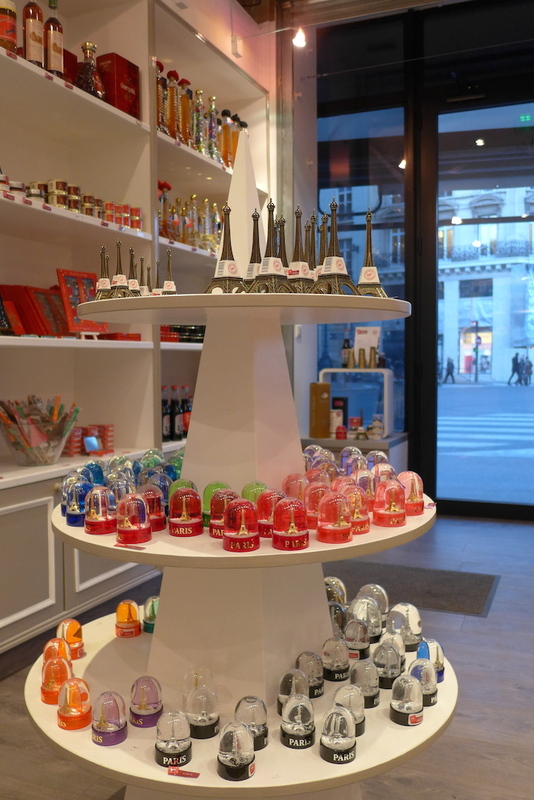 This new shop is THE shop for official souvenirs of the city of Paris. 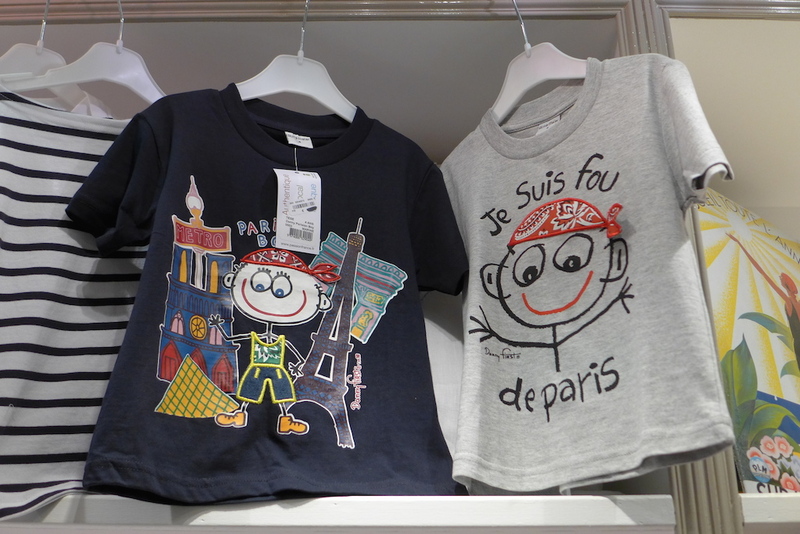 There are displayed more than 200 products which project Paris image, all made in France. Quality and design seem to be the keywords for those products. Here are my favourite souvenirs to buy there. 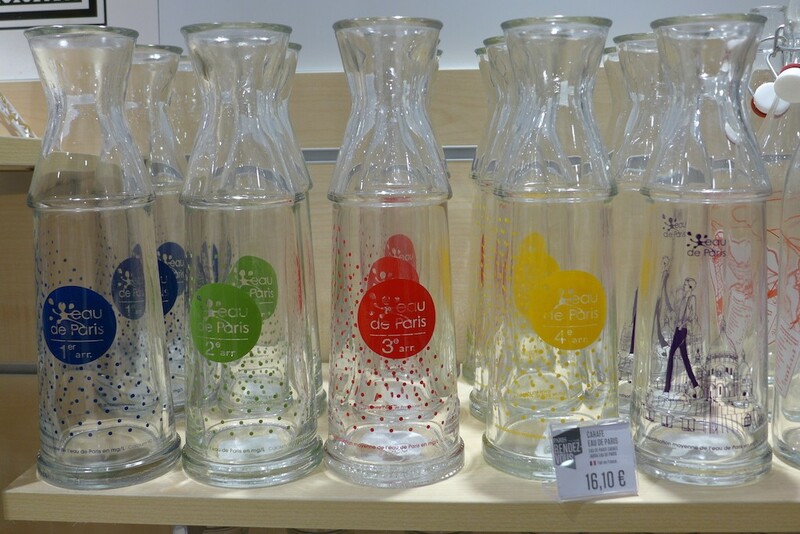 The lovely water jug “Eau de Paris” : it exists in 20 different colours as each arrondissement of Paris has its own. Indeed the “Eau de Paris”, also called “Chateau la Pompe” or “Chateau Chirac” by Parisian people in reference to the French President who used to be mayor of Paris during a long time, is water that one can drink. There are even public fountains in different places in the city where you can fill your flask with Paris water. The water jug costs 16€ and provided that you wrap it carefully it is really a nice souvenir to bring back home. It will be very classy on your dinner table ! The coffee cups from the Vélib’ collection : There are mugs, cups, coffee cups, mini mugs, … but also bags, purses and notebooks, all under the trademark Vélib. All are a success and I really like the set of 2 coffee cups with spoons on sale for 15,90€. The beautiful reproductions of the Eiffel Tower : They are rather expensive (59 or 125€ depending on the size) but beautifully made and I really recommend them to the lovers of the Iron Lady. 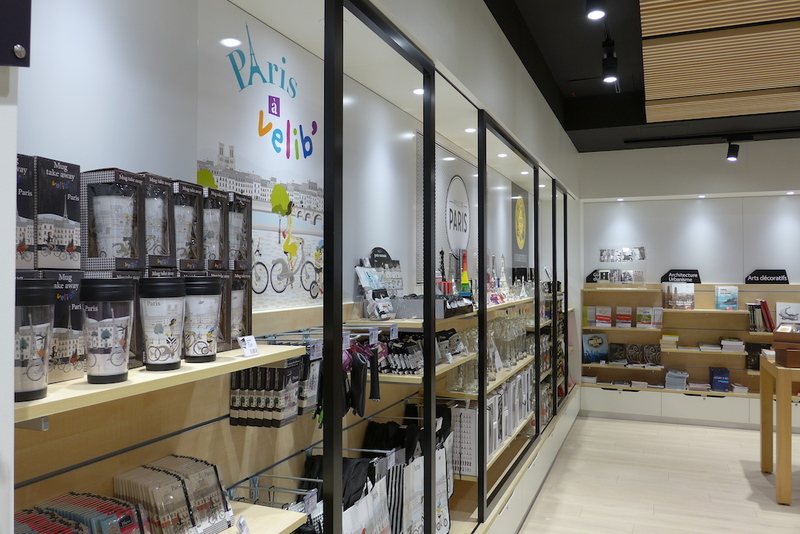 Paris Rendez Vous also offers books, posters, practical guides about the city and cultural information about Paris. One can also have a seat and use the free wifi available or one of the self service tablets to have full access to Paris City Hall’s digital offer. And take advantage of your visit there to have a look at the free exhibition Celebrate Earth which presents beautiful posters for the climate conference Cop 21 that will take place in Paris in November. 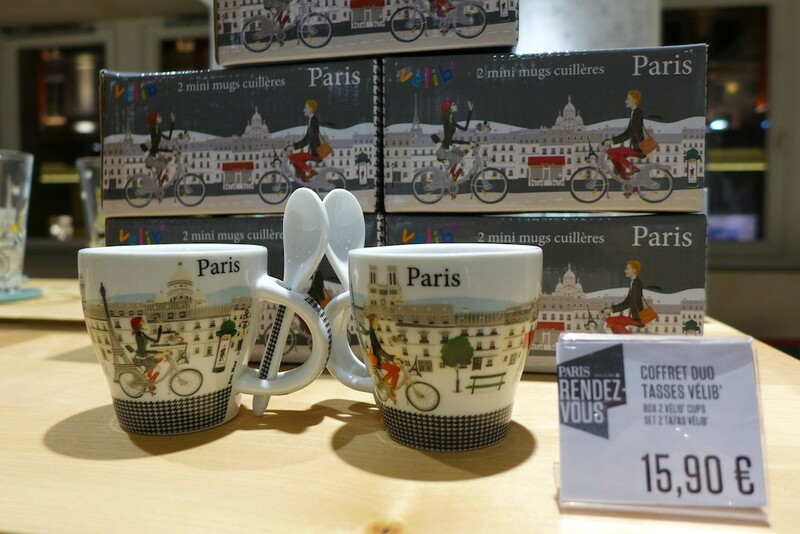 I WAS IN is a French trademark which was created in 2009 and offers trendy and design souvenirs of Paris. I like the name, I like the simple and elegant design of the products, I like the colours and the materials. I WAS IN products are on sale in different stores in Paris, most of them located in touristic areas : the Galeries Lafayette, the BHV Marais, the Monoprix on the avenue des Champs Elysées, on 56th floor of the Tour Montparnasse, on 1st flor of the Arc de Triomphe, at the shop of the Louvre Museum under the pyramid, and in a lovely fashion and jewels shop called Cécile & Jeanne and located on the Place des Vosges. This is the shop I have visited ! My favourite I WAS IN souvenirs are : the Eiffel Tower key rings (5,90€) ; the paper clips with the shape of Eiffel Tower or the Arc de Triomphe (4,90€) ; the teddy bears (22,90€ the big one) ; the 3D Eiffel Towers (21,50€ the big one). But there are also magnets, bracelets, watches, mugs, notebooks, bags, …, all colourful, trendy and at reasonable prices. 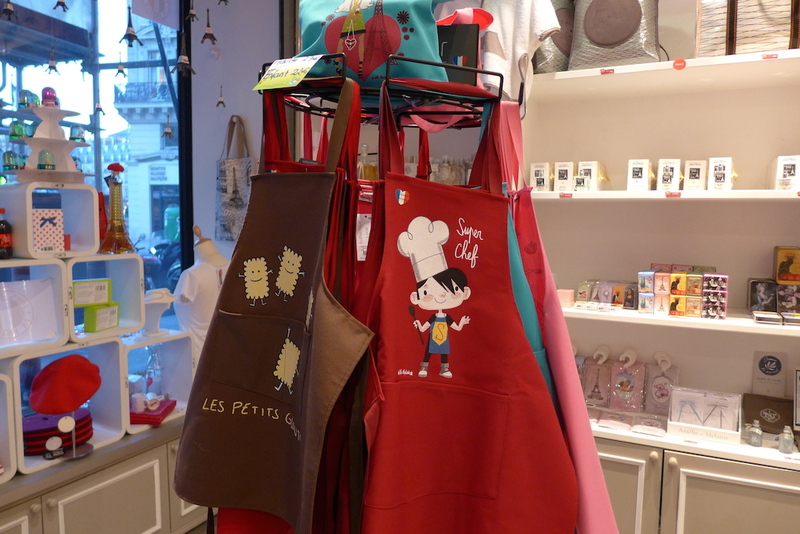 Passion France are gift shops which highlight France and its traditions. All products sold are made in France and put forward the French know how and traditional and local manufacturing. There are four shops in Paris : two in the Galeries Lafayette department stores (Haussmann and Montparnasse) ; another in 1st arrondissement near the Louvre, rue de l’Echelle, and the last one in 17th arrondissement, between the Arc de Triomphe and Porte Maillot, on the avenue de la Grande armée. 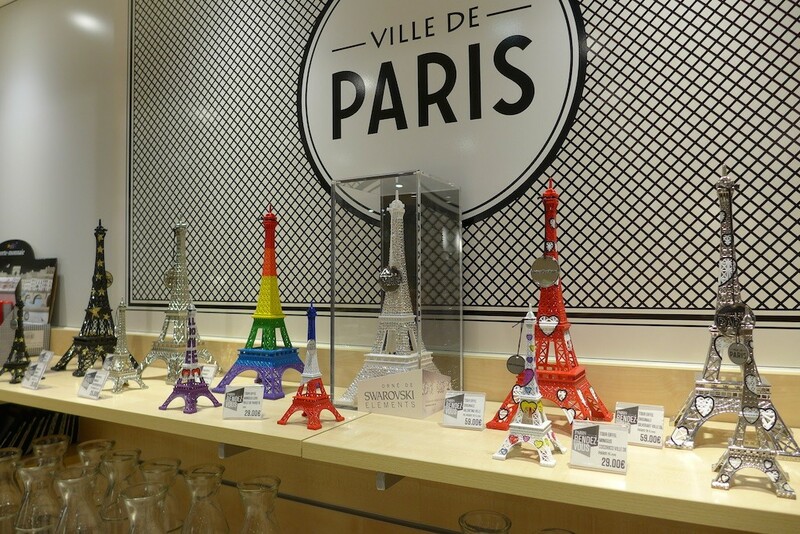 Among the souvenirs offered I love the Eiffel Towers with snowball effect : so kitsch… but made in France ! 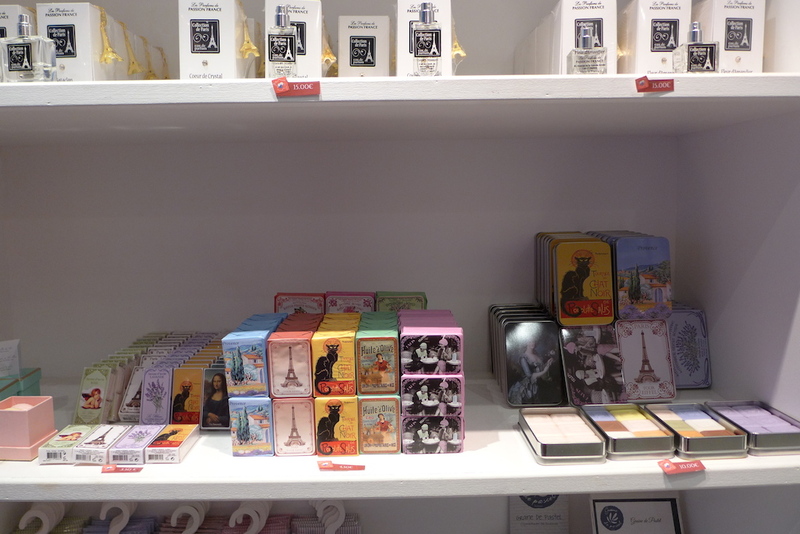 My other favourite are mainly the textile products made in France by Alma Mater : aprons for kids or adults, T Shirts “J’adore Paris” or “Mademoiselle la Parisienne”, funny T Shirts for kids, French berets and sailor sweaters, … And also some perfumes, candles and soaps. Passion France also offers the lovely water jugs “Eau the Paris”, mugs and cups, and some French gastronomy products : biscuits, chocolates, foie gras, … but also Paris Cola : not really a French speciality ! Let me know if you taste it. I haven’t yet ! Thanks for this article! It’s always hard to find nice presents to bring back when you visit Paris, and not the usual stuff everyone buys. Now I know where to go. This article is so useful. I’m going to Paris in two weeks and I was looking for a guide like that. I have enough of little overpriced souvenir shops that (like you said) sell stuff that were not even made in this country. I will definitely visit at least one of those three shops. all their products look really nice. Thank you for posting this! I will surely visit the shops. I will be in Paris next week and I’m really looking for a place or shop that sells souvenirs that are made in France! 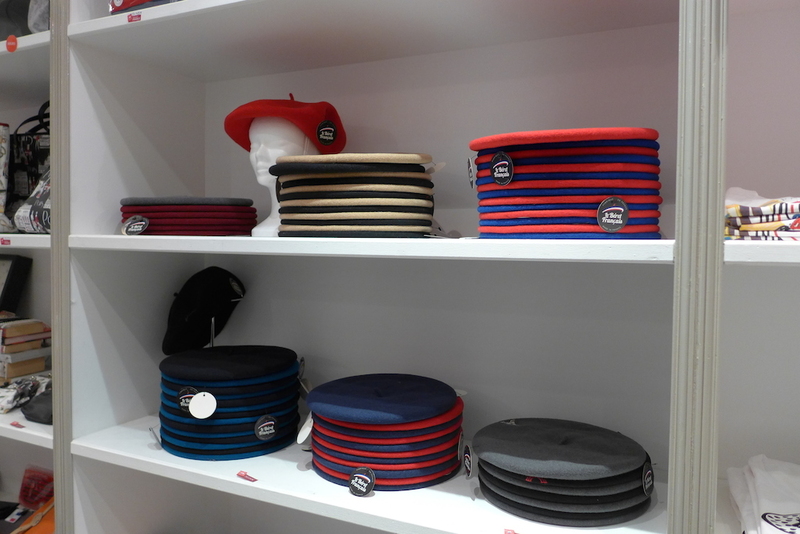 I just visited a very nice shop in Le Marais : Bring France Home. They are selling very nice Made in France Souvenirs. People are very kind. It’s a popup store, open until september the 13rd. 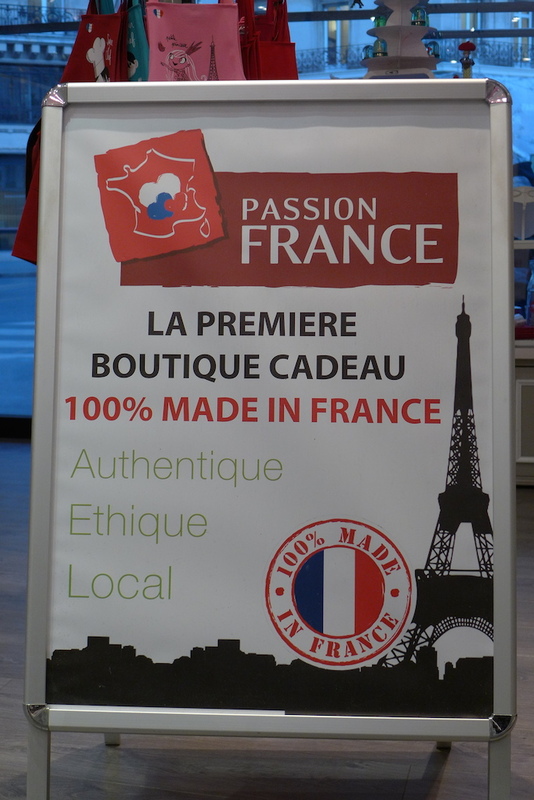 Passion France on Rue de l’Echelle is permanently closed. Thank you for the update! 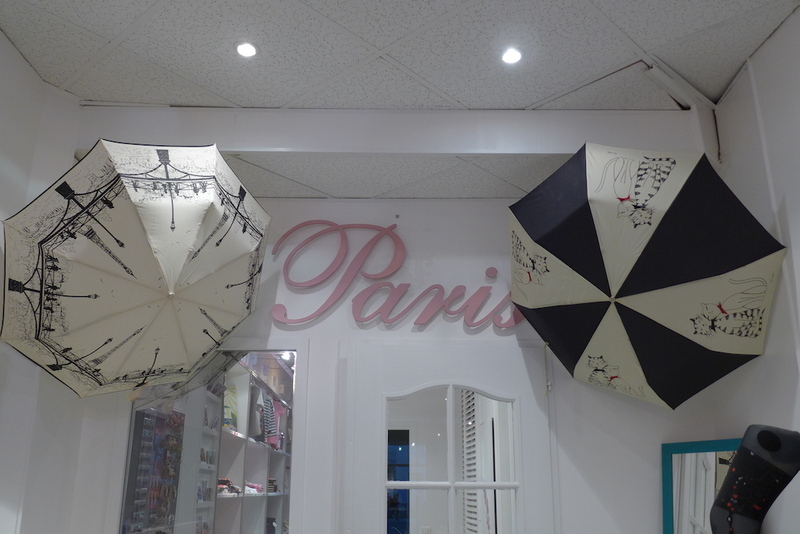 There is another shop Passion France, 42 Avenue de la Grande Armée75017, near the Place de l’Etoile: a bit less central but still open and worth the visit!